This is one evening out where you don't have to feel guilty for sampling Fairfield County's newest restaurants, craft cocktail bars, and dessert cafe, because it is all to benefit Community Plates and their mission to help end hunger. This signature event, Food For All, highlights Community Plates Fairfield County’s goals for the coming year, celebrates its accomplishments, and pays gratitude to the many volunteers and supporters who share in the desire to put an end to food insecurity in our community. 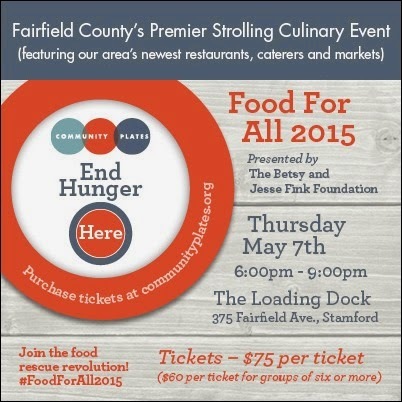 Food For All 2015 is Thursday, May 7 from 6 to 9pm at The Loading Dock at 375 Fairfield Ave. in Stamford. Tickets cost $75 per person or $60 per person for groups of 6 or more. You can be purchase tickets online at http://communityplates.org/ffa15ffld/. This year, another fundraising element to be featured at Food for All is a photography exhibit where attendees have the opportunity to purchase works from some of the food industry’s most provocative food photographers. An eclectic array of photography which infuses various food elements and takes them into a more artistic direction will be on display for all to enjoy and purchase with 100% of the profits going to Community Plates. 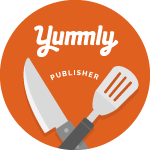 Event-goers will have the opportunity to learn more about Community Plates and their GoRescue application, the organization’s award-winning web and smartphone enabled interactive food rescue scheduling tool. GoRescue connects foodservice organizations that gather and donate food that would otherwise be wasted; to food runners, who give of their time to pick-up and deliver food donations; to the receiving agencies that ensure donated food gets to those in need throughout the community. Founded in 2011, Community Plates is a 501(c)3 non-profit food-rescue platform, focused on transferring healthy, usable foods to where it can help feed those in need. This volunteer-driven, technology fueled process coordinates with restaurants, grocers, bakeries, caterers and other foodservice organizations who have foods destined to be thrown away, and delivers the food to soup-kitchens, food-pantries and other hunger relief organizations who serve food-insecure individuals and families. Since launching in Fairfield County, Community Plates food runners have rescued over 5.3 million meals, saving over 8 million pounds of food from going into landfill. Community Plates currently operates in Columbus, OH; Albuquerque, NM; New Haven, CT; New Orleans, LA; and Fairfield County, CT with plans to open six to eight additional sites in 2015. For more information visit: http://communityplates.org/.